E-News - Vernon Tool | End of Year Orders Taken Today! 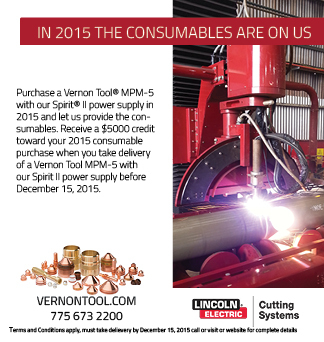 Vernon Tool | End of Year Orders Taken Today! Hi, just a reminder that you're receiving this email because you have expressed an interest in Vernon Tool Company. WE HAVE RECENTLY SWITCHED OUR EMAIL SERVICE TO GREATER REDUCE THE RISK OF SENDING UNWANTED EMAILS. If you no longer wish to receive technical tips, and special offers from us please use the UNSUBSCRIBE feature and you will be removed from our database. 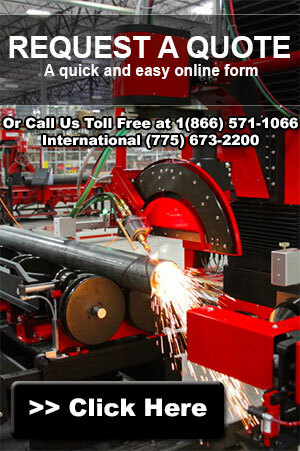 Don't forget to add jeff_knoll@lincolnelectric.com to your address book so we'll be sure to land in your inbox! We are updating our phone system. Our sales department will still be open. 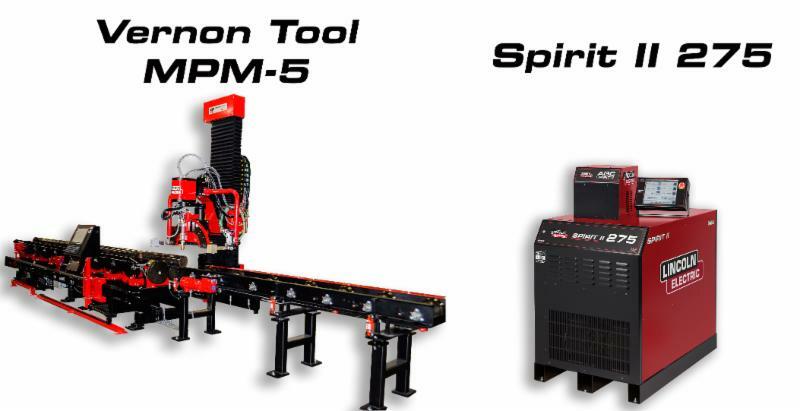 Using both dial indicator and laser accuracy tests, the engineers at Vernon Tool were able to prove the accuracy and repeatability of the MPM-5. Its rigidity and quality withstood the test and proved to be a very accurate process for cutting large scale pipe and tube. The amount of rotations rarely exceed more than one, but the MPM-5 has proved that within two rotations it can hold a tolerance of less than .012, or less than 1/64". Architectural and structural fabricators will find that Vernon Tool machines can accurately cut parts within very tight tolerances, making them the ideal machines for handrails, pergolas, trellises, sunshades, and ornamental metal work. Baluster supports are also easily programmed to make cable railing, or cut to fit infinity glass railing. The structural possibilities within these machines are limitless.